You may have seen this recipe from our featured “Lauren’s Recipes” but we thought it was perfect for a cool fall day and just had to share it again. Enjoy! 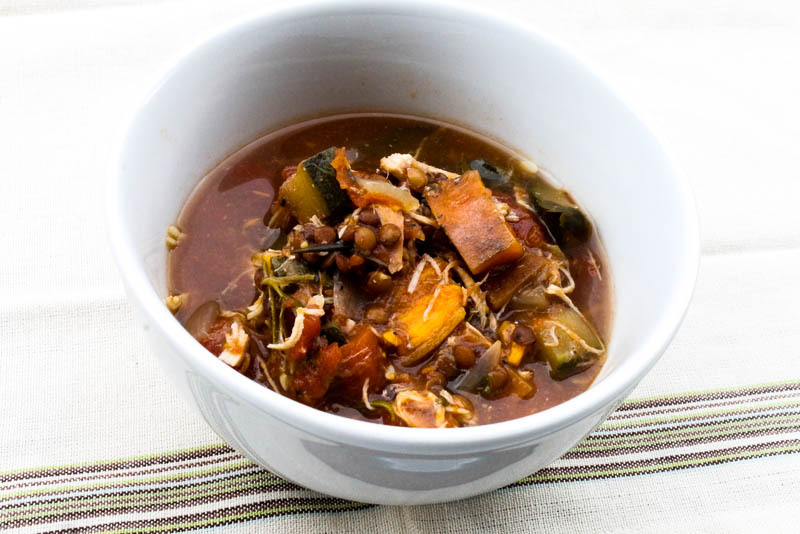 In 3 ½ – to 4-quart slow cooker, mix onion, zucchini, sweet potatoes, lentils, broth, salt and pepper. Add chicken. Remove chicken from slow cooker. Use 2 forks to pull chicken into shreds. Return chicken to slow cooker. Stir in tomatoes. Cover; cook on Low heat setting about 15 minutes longer or until thoroughly heated. Sprinkle with fresh basil. ← Pure Deal! 25% off organic dried fruits!